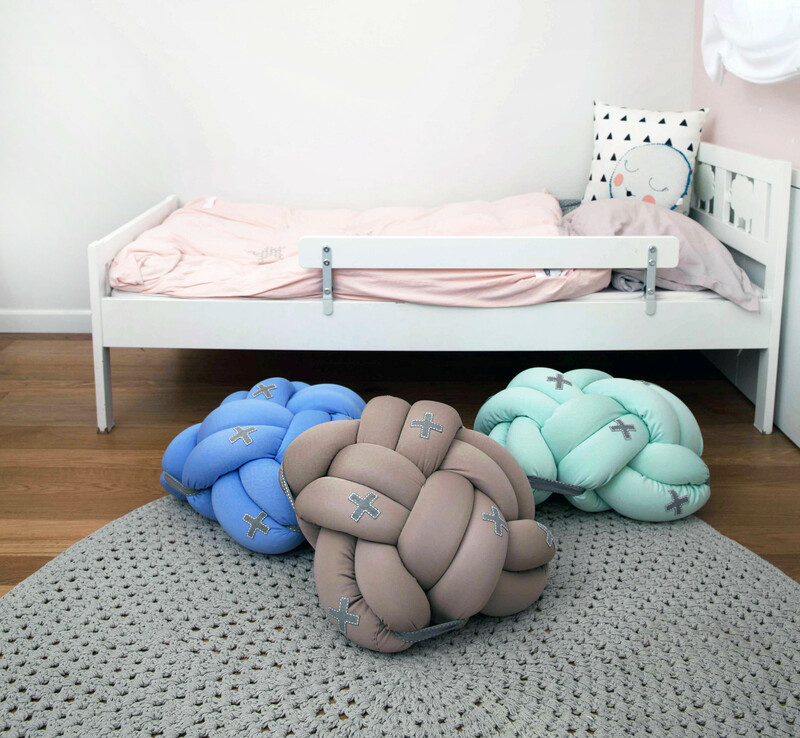 Move over, beanbags, and let Knots take over. 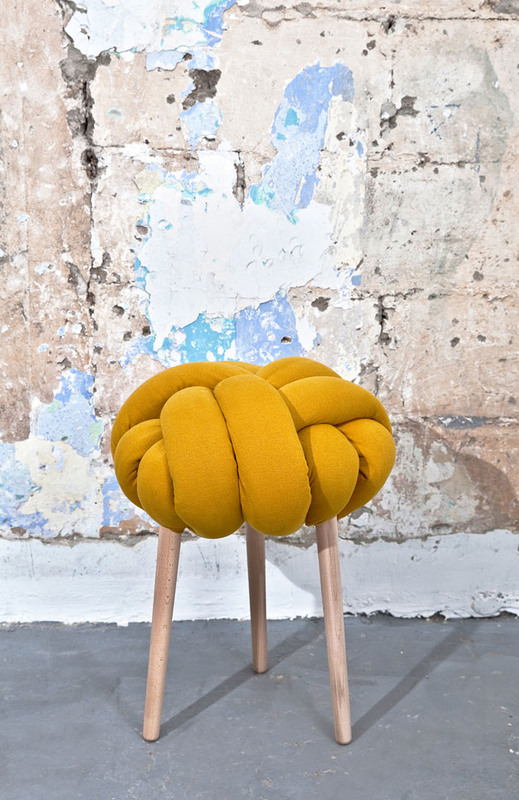 Knots are thick, beautiful cushions and stools from Knots Studio in Tel Aviv. 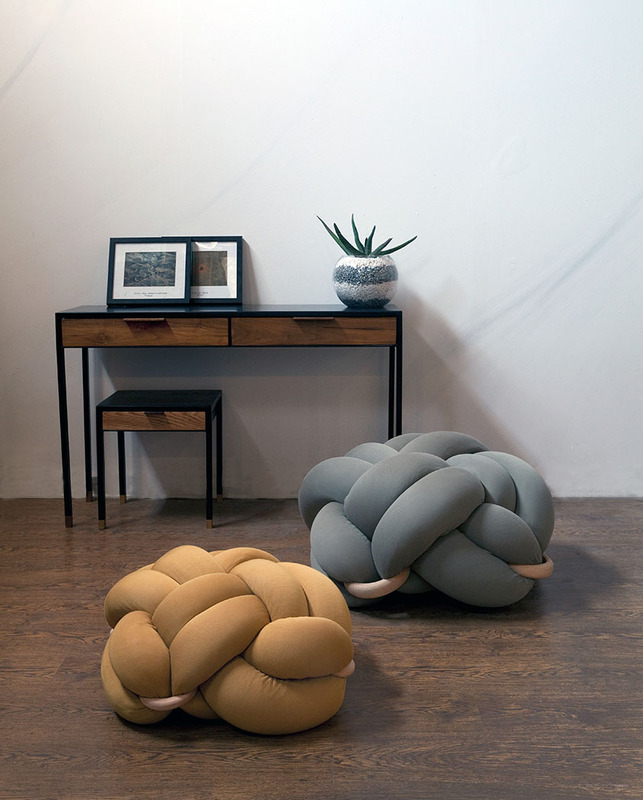 Comfy and visually striking, they add a dash of texture or color to your living room, kids room or anywhere you need a cozy lounger. 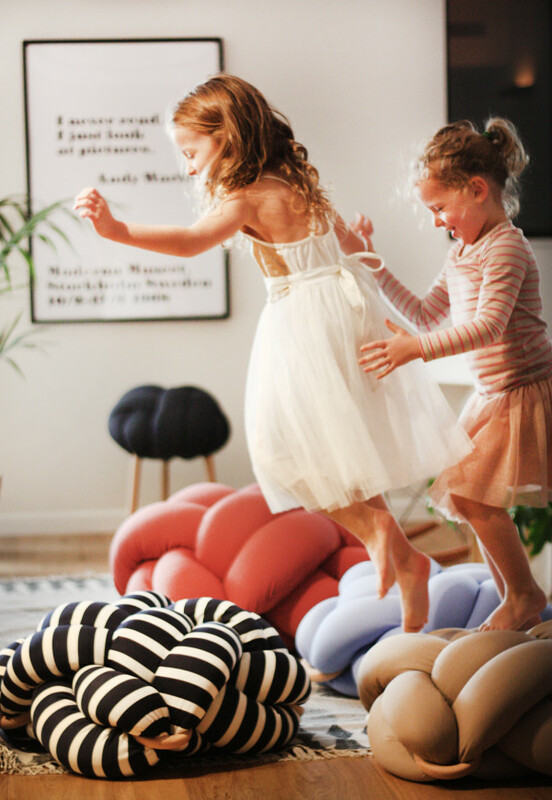 The cushions are made with a special knot tying technique used on sailboats, and hold a stiff foam filling that makes them durable enough for toddlers and kids to jump on. Clearly, their inspiration was nautical. Designer Neta Tesler originally experimented with actual ropes. Her inspiration came from her childhood spent at the beach and sailing with her family. The wooden rings used are made by Tesler’s grandpa in his carpentry workshop. The fabrics used are hand-dyed and sewn. Color choices range from muted tones like light grey, soft beige and pale mint to nautical themes in blue and stripes. Different sizes are available, including the stool model. 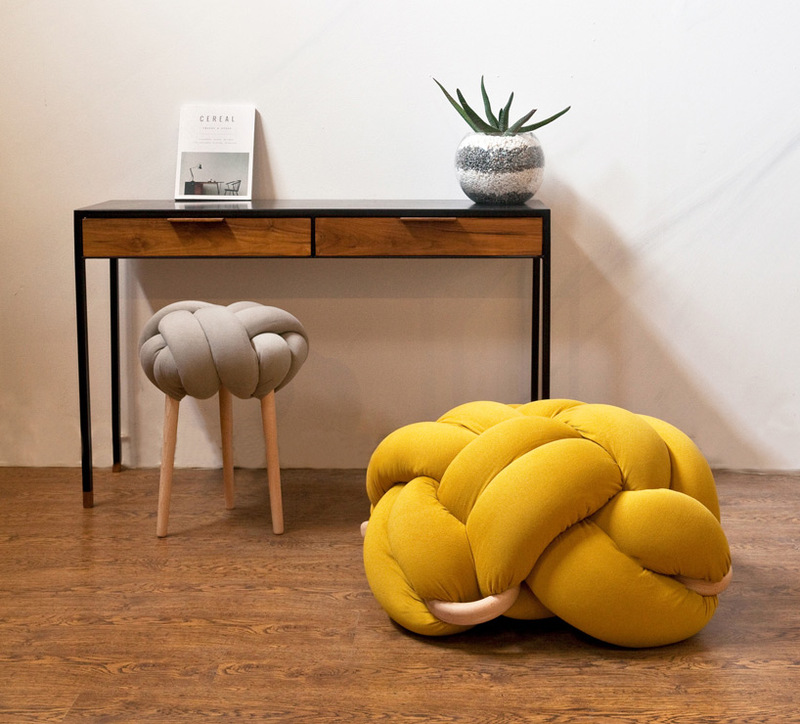 The designer says she loves how “the soft textile meet the strong wood and it makes a special interactions between the materials.” If you know your knots, we’d love to know the type!